Thank you for joining me as we count down to the MFT release. We are four days away from the big day! All the new Stamps and Die-namics will be available on Tuesday, August 8 at 9:00 pm EDT. Be sure to check out the MFT Blog to see all the new items being revealed today. Don't forget to leave a comment on the MFT Blog countdown posts, YOU could win one of the five $75.00 gift vouchers. 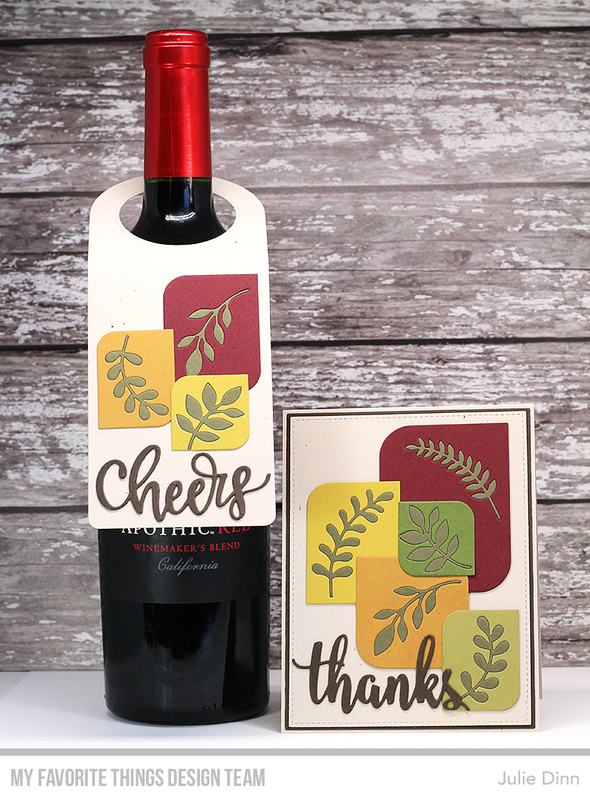 My projects today feature some of my favorite things, cool dies, fall colours, and wine! Let's talk about the new Mod Square and Mod Rectangle STAX Die-namics. I LOVE these dies. The unique shape is gorgeous. 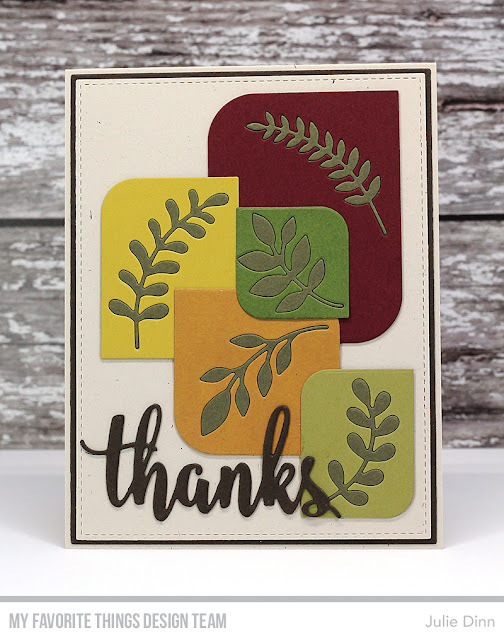 I paired the Mod dies with the new Fab Foliage Die-namics. I used the inlay technique to create colourful blocks that I arranged on the card. I finished off the card with a double stacked thanks sentiment. Beautiful projects!Very creative!Thank you for the inspiration! Brilliant demonstration to shows off leaves! Great Release! Awesome projects! 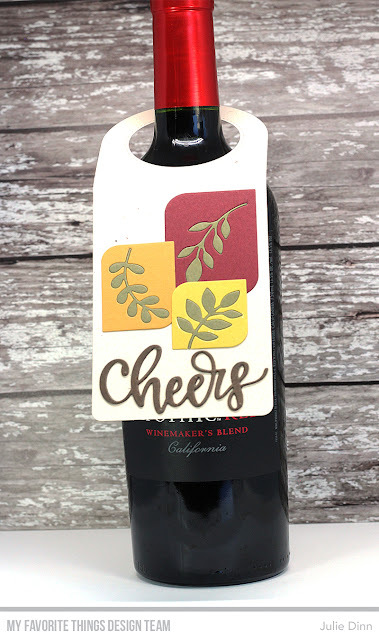 I especially love the way you inset all the leaves! Great tag and matching card, very creative. Nice technique. Clever idea with this set. Thank you for sharing.